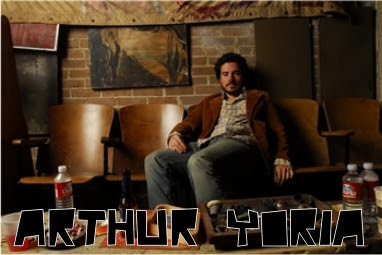 Chicago native and Houston based Arthur Yoria has a definitive knack for sounding laidback, kind of like Jeff Tweedy if he was a surfer, or if Wilco's latest Sky Blue Sky was a collaboration with Jack Johnson. Yoria even brings to mind the lovely solo record released by Broken Social Scene regular, Jason Collett, titled Idols Of Exile. There are some damn fine songs here that you've got to hear and that's why I'm telling you about Yoria... so you'll listen. These are from his latest effort, Handshake Smiles, on his own label 12Records Inc. Here you'll find links to buy all his releases.